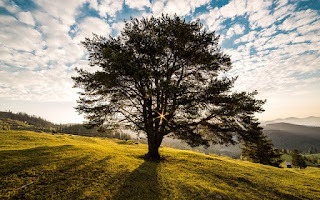 There can be many reasons behind the decision to cut or remove a tree, for example, your house might not be getting enough exposure to the sunshine because the tree is in the way, or the tree has covered an important area of your property, or it puts shadows on your roof thus preventing your solar panel from functioning. No matter what the reason is, tree removal in NJ is not as easy as it might sound to some and is actually quite a challenging and even dangerous task. In recent years, many people have tried cutting down unwanted the trees on their property but failed miserably due to lack of expertise, insufficient tools or machinery, and lack of professional experience. In the very same way, many people have gotten themselves injured in the process of cutting down a tree. So, why take the risk at the cost of your life when you have us at Amazing Tree Services? We are a professional tree removal company that provides effective and efficient tree removal services at competitive prices. We have a team of professionals and experts who know exactly the right way to get the job done without posing any kind of serious threat to properties or individuals. Our tree removal experts are well equipped with modern tools and equipment, which make the process convenient, smooth and quick. We consider our business as a service to mankind, and hence, we ask for fair prices without any compromise on quality. So, if you're looking for high-quality tree removal services, give Amazing Tree Services a call at day and we will be more than happy to schedule a time for your tree removal in NJ. To learn more about our services regarding tree removal in NJ, please call us today at 973-343-6868. One of our tree removal experts will be happy to speak with you. Why should property owners look for professional commercial tree removal in NJ? There are many reasons why commercial properties are in greater need of professional tree removal services than residential properties. Few things are scarier than the possibility of a heavy tree falling on buildings, people and even parked cars. It can cause damage worth millions of dollars and even lawsuits due to negligence. To avoid unnecessary risk, you need the services of a professional to completely remove or trim trees on your commercial property. There are a number of reasons why a tree might fall. Tree disease, fungal infection, heavy wind or rain, landscaping induced drought and even age that could cause a fall and necessitate the trimming or complete removal of a tree from your commercial property. If you have one of these trees on your commercial property, it is time to call us at Amazing Tree Service. It's a major employer risk to allow unlicensed and inexperienced individuals to handle commercial tree removal in NJ. It's safer, more efficient and ultimately more economically efficient to hire a professional, licensed tree service to remove dangerous trees. If you are at all concerned about the safety of the trees on your commercial property, allow us at Amazing Tree Services to come over for a free estimate and then schedule a date and time to remove the tree or trees. To learn more about our commercial tree removal in NJ, please call us at Amazing Tree Services at 973-343-6868. 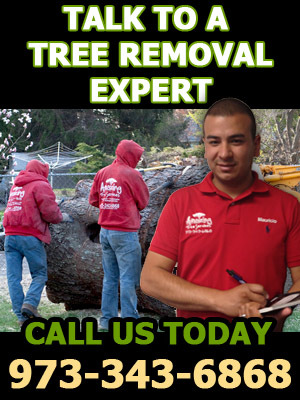 One of our tree removal experts can help you. Trees are prevalent in almost every region of the planet. They do much to enrich the lives of us humans; they provide food, material for building, and even various types of medicine. The main drawback with trees is that, unlike a cat or dog they are not easy to domesticate. A tree will shoot up wherever its seed happens to land, and it will grow until something gets in its way. With the presence of a huge number of different environmental organizations that are dedicated to conserving trees, it's easy for us to tell that trees are really a great concern. If you have trees at home that you want to preserve, you can do so through the help of our tree service NJ at Amazing Tree Services. Throughout New Jersey we are known for our most-requested function: removing trees that have become dangerous in some way. As professionals in this task, able to do it quickly, safely, and efficiently. We can remove all or part of a tree, and we have the license, insurance, and bonding that we need to minimize the risk to the people that hire us. However, there is quite a bit more to tree care services than just getting rid of trees that pose an immediate danger. 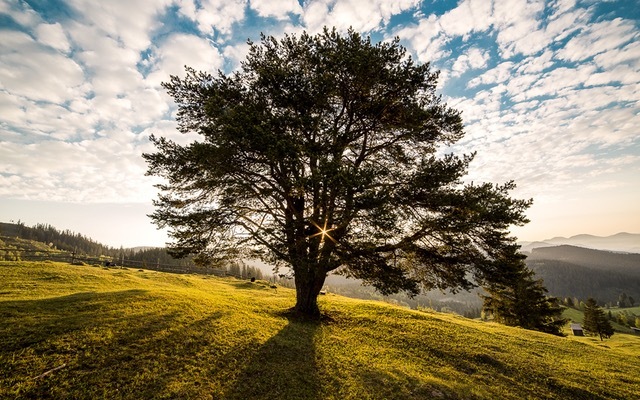 In an ideal world, you would want your trees to live long and healthy lives and not ever become diseased or dangerous to your property; tree services can help a lot toward accomplishing this goal. One of the advantages of hiring tree service is that one is ensured of safety when it comes to the possible threats posed by unmaintained trees and vegetation; when you hire the service of tree service provider, they will help in maintaining safety in your environment within and outside the home. Our tree service providers will remove old and diseased branches that could pose a threat in driveways, roads, and even electrical wiring. If such branches are removed safely, vehicles can pass through roads safely and easily. Hiring our tree service NJ will also aid the maintenance of your gardens and backyard. Other than the removal of overgrown shrubs, tree services will also help you in cleaning up all the unwanted plants within the property that obscure the view and the aesthetics your home and surrounding. Besides trimming unwanted branches and removing unnecessary shrubs in your yard, hiring us at Amazing Tree Service also gives you options when it comes to plant trees in your yard as tree service providers also offer tree planting services. We have the necessary knowledge and skills to plant and grow healthy trees; with this, you are assured that your planted trees will grow healthily. Also, if you notice that your tree has taken on an odd shape, it is then time to call in the tree service professionals to shape it up. Your tree may start to lean, look lopsided, or it may have many branches in one area and look rather sparse in other areas. Our professional tree services provider can help your tree grow healthy branches and bring back its original shape. You should also call our professionals if you notice that the tree is cracked or broken; if not treated right this can be difficult to correct and can actually permanently damage the tree. Another reason why you may need to hire Amazing Tree Service is for stump grinding; once you notice a stump is in an area and needs to be treated properly you should contact professionals. Stump grinding can involve a tree stump being removed. It can also involve a tree stump being ground into a certain depth level. This can be used to protect the tree and to ensure that it will be safe for handling different kinds of landscaping projects in an area. With tree services available, getting a tree removed or planted in an area can be so easy. Proper tree care services can also be provided through a good tree service. For more information about tree service NJ or to learn more about us at Amazing Tree Service, please call us at 973-343-6868. One of out tree service experts will be ready to speak to you.